A pair of close calls over the weekend in Vermont have officials pleading with the public to give them and other emergency personnel more room on the road. A pair of close calls this weekend on Chittenden County roads has police agencies pleading with the public to give them and other emergency personnel more room to do their work. The Essex Police Department said one of its officers had to jump out of the way of a car early Sunday morning when he was on Route 15, helping the Winooski Police Department with a traffic stop. 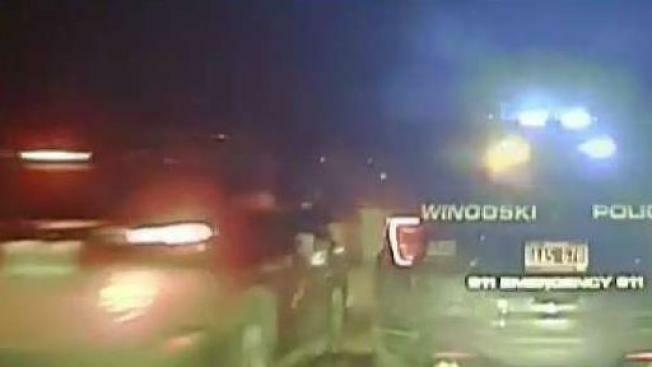 Dash camera footage obtained by necn shows the vehicle swerving after the department said it missed the officer by mere inches. 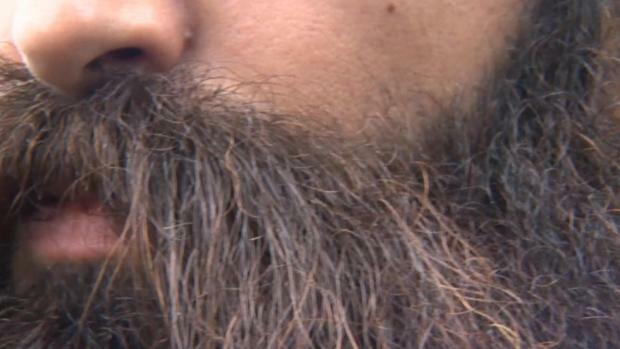 “He felt the breeze going by him, absolutely,” said Capt. Ron Hoague of the Essex Police Department, who noted that the officer is fine. Earlier that same shift, Winooski had a close call of its own. Body camera video obtained by necn shows a car on Interstate 89 coming uncomfortably close to the Winooski officer, who appears from the video to have anticipated the vehicle approaching and stood back as the car passed. That pair of narrow escapes has Hoague pleading with the public to give police officers and other emergency personnel extra room on the roads. Despite a law in Vermont requiring drivers to slow down and move to the left when approaching flashing lights—like from a tow truck, ambulance, highway work crew, fire truck, or police cruiser—many drivers still don’t, first responders say. Last May, necn rode along with Vermont State Police, and in just five minutes at a stop, the news station witnessed four drivers fail to move over. In Sunday’s Essex case, the officer caught up with the driver who nearly hit him, and expects to issue the man a ticket. Not moving over in Vermont can bring cash fines and points on your license, Hoague pointed out. Police do understand that sometimes, you can’t safely move all the way to the left because someone is already in that lane. In a case like that, they ask you to still slow down considerably and just give them as much space as you can.